And Taaaa daaaaa! 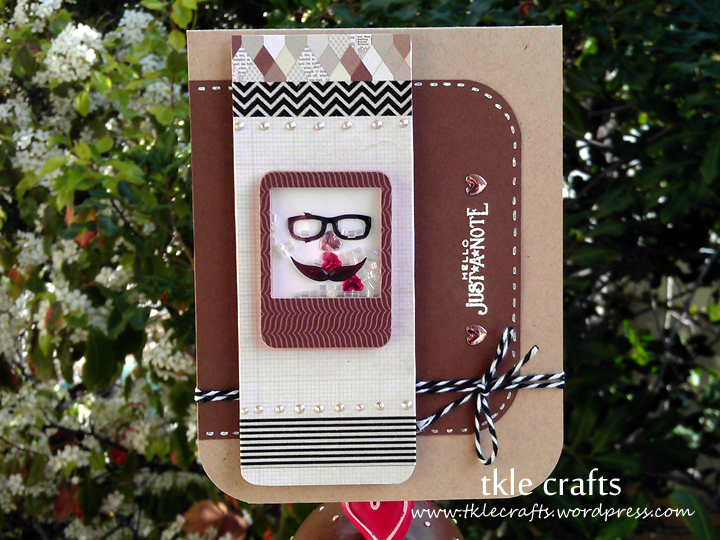 At last, I was able to use my wood grain paper to make the cute little polaroid frame! Note to self: This sheet of wood grain paper is very pricey so practice on scraps to avoid any mistakes! Also, I added clear card stock to the polaroid to give it a little something something. Kinda neat right?! For the final touches, I placed little hearts and sequins on the hexagons. 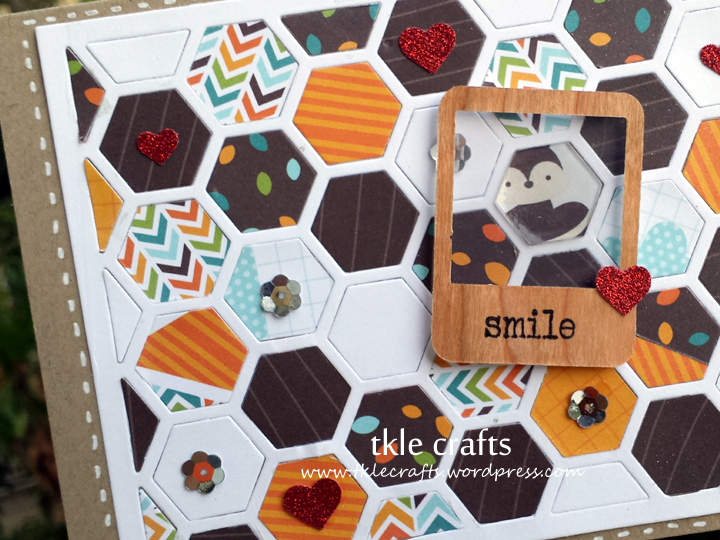 Totally a great use for my scraps and hexagon die cut! Love it. 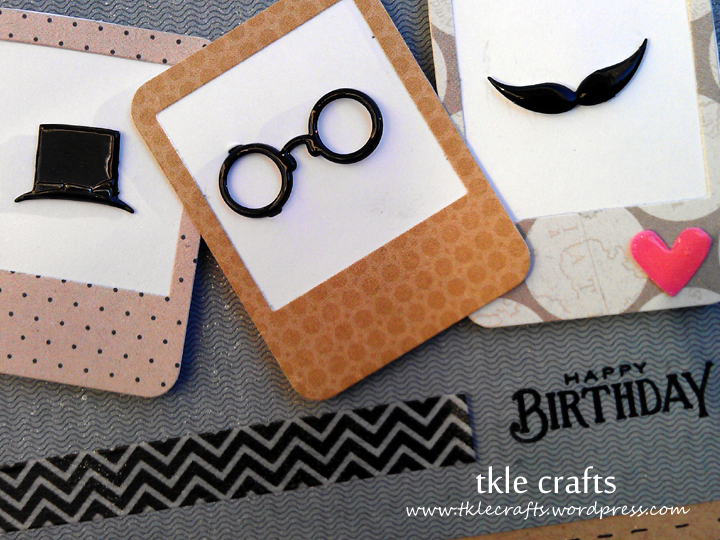 Recipe: Card stock from Papertrey Ink, Hexagon and Polaroid Die from Papertrey Ink, Epoxy stickers, Lawn Fawn Into the Woods collection kit, Martha Stewart Heart Punch. This is for a wonderful friend who travels the world and sends me little postcards from all the adventures. I made the picture frame into a shake it card! And I love how the hearts happen to fall into the place of the nose! lol! Recipe: CS from PTI, scrapbook paper from Studio Calico, Papertrey Ink Frame it Die, Liquid pearls, Twine, Eyelets, and Washi Tape. 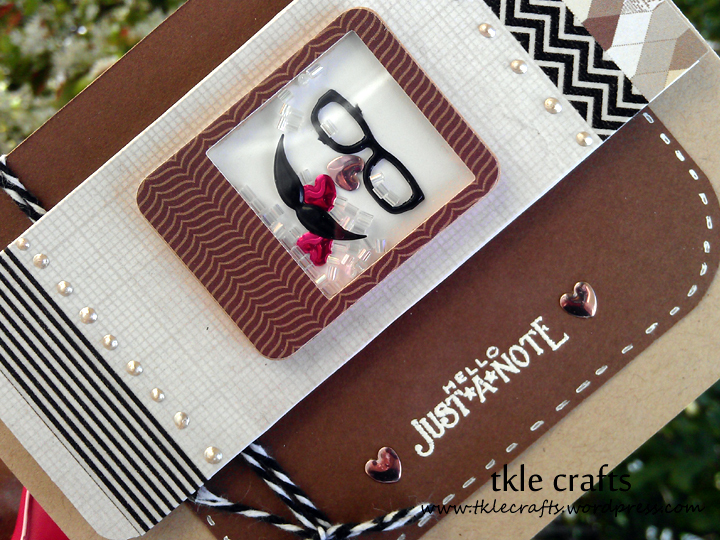 Can a card be so cute you want to jump up and do a little dance? That’s how I feel about this card! So I found these adorable little brads that make me smile when I use ’em. I wish they had a little bow tie! That would be perfect. So using my picture frame die cut I made three little polaroids for the brads. 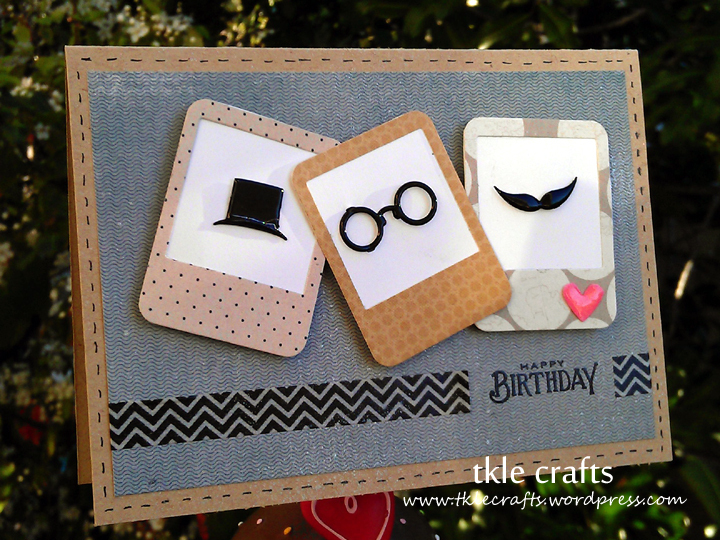 It was very exciting because I used black pigment ink to emboss the happy birthday sentiment. Can you see the texture? I added some washi tape and sprayed the background with glitter and frost! Must stock up on brads! It’s my new love!!! Recipe: CS from PTI, Frame it die cute from PTI, Washi Tape, Brads, Paper from SixbySix, Glitter and Frost Shimmer, Ek success heart punch, Glossy accents.